This is every bit as good as you might expect. I’d pay good money to hear Rocker mic’d up on the next day of practice after Rochester’s arrest, though. I’ll never look at a leaf the same way again. When Tracy Rocker tells you to do something, you’d better do it. The last person I thought would ever make a soap opera reference? 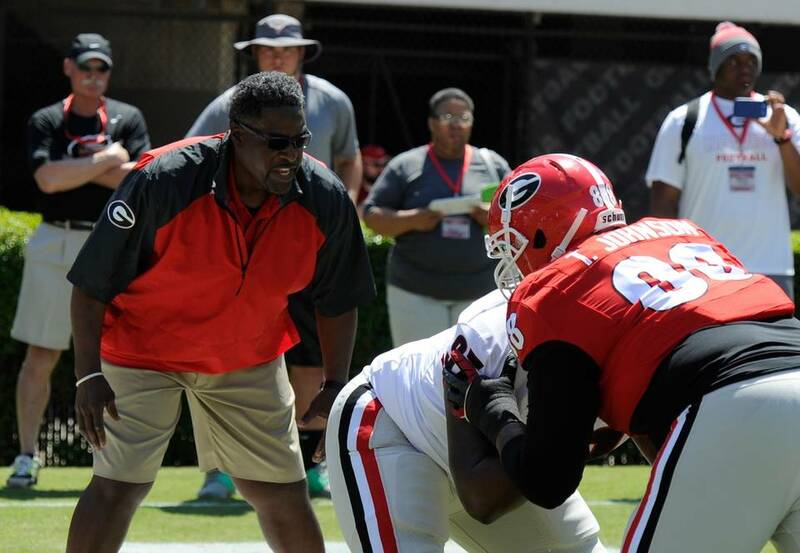 Tracy Rocker couldn’t help but let out a scoffing laugh when asked if he was ready to name his top three or four defensive linemen for the coming season. Of course, that’s somewhat exaggerated. After three scrimmages and a month’s worth of practices, Rocker has a good idea who is going to be taking snaps when Georgia tees it up against Louisiana-Monroe in a week. He just can’t be how sure they’ll perform. Gee, I can’t imagine where he got that impression from.